Nestled in a nondescript area of Paterson, NJ surrounded by aging warehouses and auto repair garages lies Panther Academy a high school I visited last Thursday and was fortunate enough to watch a small group of high school students - budding future scientists and engineers - recreate an experiment that Eratosthenes did 2200 years. 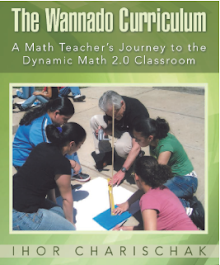 Mr. Salama helped his students use the shadow angles and some trig functions to come up with the central angle of the earth. The class partnered with a school in Kuantan, Malaysia to get their sun angle. 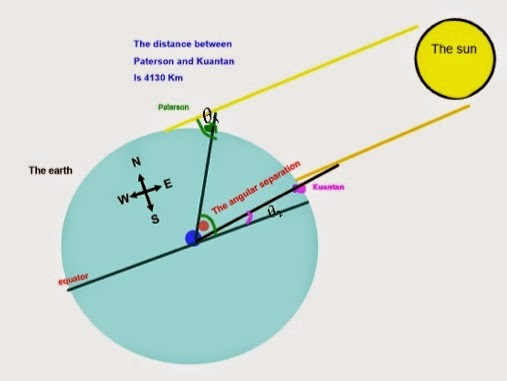 By subtracting Paterson's sun angle from Kuantan's they determined the angular separation at the center of the earth known as the central angle was 37.2 degrees. They also knew that the Malaysian school was 4130 km away by comparing latitudes. So they were able to figure out that there were 360 / 37.2 = 9.68 "Kuantan to Paterson distances" that circumnavigated the globe. Making that calculation 9.68 * 4130 = 39,937.1 km the students discovered that their measurement was very close to NASA's listing of the circumference as 40,030.2 km. Shafi Ahsanul gave the summary report. 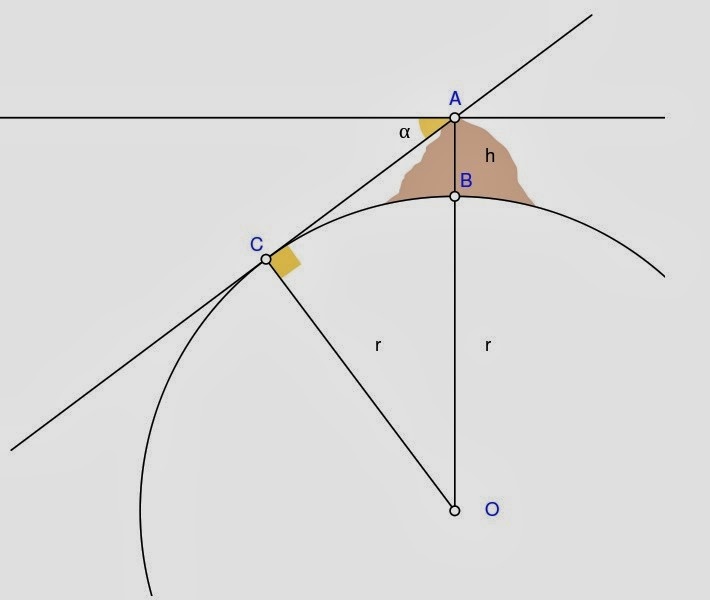 In May, the class will go on the field trip and use Al-Biruni's method for determining the circumference of the earth. I'm looking forward it.